Most, but not all, of these texts are late antique — lives of the Desert Fathers, Ephrem the Syrian, Gregory the Great’s Dialogues, Gregory’s Book of Pastoral Rule, Isidore of Seville’s De Summo Bono, Prosper of Aquitaine’s On the Contemplative Life, John Cassian’s Conferences (or Collationes in Latin — whence, in fact, comes the name of collatio in Benedict’s Rule). Of course, the absolutely most important late antique book in any Benedictine monastery is the Rule of St Benedict itself — its importance at Durham is highlighted by its presence not only in the original Latin but in an Old English translation as well. It is found, along with the list of books to be read at Collatio, in the Durham Cantor’s Book. Many other late antique texts could be discussed (Chrysostom, Augustine, Isidore) but I’ll mention only one more, and that is a book that pre-dates the refounding of the community by William of St Calais in 1080 — the Durham Cassiodorus, DCL B.II.30. 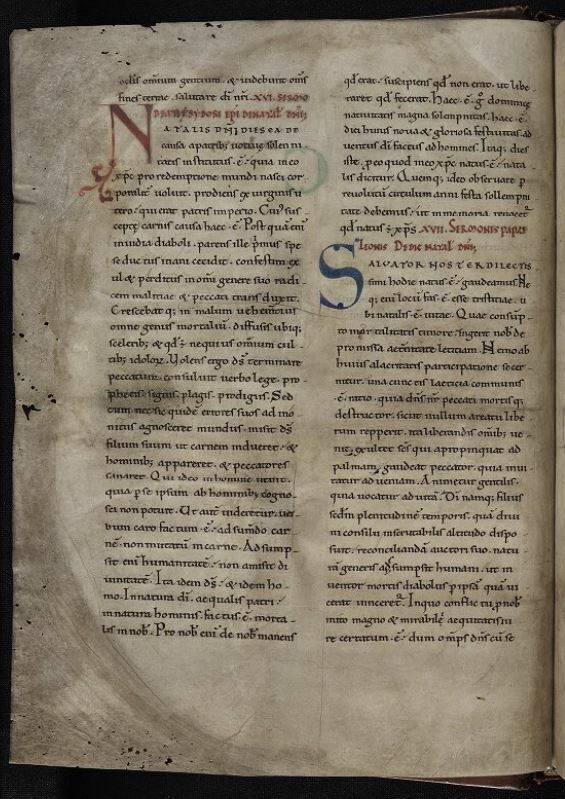 This manuscript is a copy of Cassiodorus’ commentary on the Psalms. It is one of a few pre-Conquest Durham manuscripts that were believed by some of the monks to have been written by the Venerable Bede. While Bede was probably not one of the six scribes to work on this text, it is nevertheless a manuscript that probably came from the twin monasteries of Wearmouth-Jarrow in the second quarter of the 700s — so within Bede’s lifetime at Bede’s monastery. Cassiodorus’ Psalm commentary was very popular in the Middle Ages, which only makes sense. Benedictines sing the whole book of Psalms every week. A commentary like Cassiodorus’ would help them focus their minds on the true interpretation of the words their lips recited. In this manuscript, then, we have the convergence of Benedictine psalm-singing, late antique commentary, and Northumbrian manuscript culture. It is, in a way, a codex microcosm of Durham Priory’s ideal self. These are but a few of the late antique texts stored in Durham Cathedral Priroy’s manuscripts. I have only scratched the surface. What is probably a more interesting story is how these manuscripts were used by the monks in their own lives and thought. That question is more difficult, of course, and both are inevitably frayed at the edges — for, even if we have so many Durham manuscripts, there are still others we lack. Parker on the Web is here! I came back from the holidays last week to the exciting news that another digitisation project is complete- the Parker Library on the Web is now freely available. It’s a fabulously beautiful collection, with lots of really stunning manuscripts, so it’s well worth a virtual browse through their books. Durham, oddly is only represented by a single book in the Parker collection. This is weird because Matthew Parker, the sixteenth century archbishop of Canterbury who put the collection together, was extremely interested in Anglo-Saxon manuscripts. Durham Cathedral today still has quite a large collection of its Anglo-Saxon manuscripts, such as the Durham Gospels. While I’m very grateful that Parker did not plunder Durham’s collections, he pretty systematically bought up or was given the books that survived from other former monastic collections that matched his interests in church history and liturgy among other things. The one manuscript that is in the Parker Library fits exactly with those interests. It’s a spectacular book commissioned by Æthelstan, King of the English in the mid tenth century, to be given to the monks formerly of Lindisfarne and then of Chester le Street, who would finally settle in Durham in the next century. It contains the life of St Cuthbert, extracts from Bede, and most usefully for the monks, the order of service for Cuthbert’s feast day. Its frontispiece shows the king offering up the book itself at the saint’s shrine. How did this book end up in Parker’s hands? Unfortunately, we can only speculate. It doesn’t have any signs of ownership before Parker, and all the annotations seem to me to be later. The Cathedral Library at Durham was unusual in that it seems to have protected and maintained its books quite carefully in the sixteenth century. By the time Parker was buying up books in the 1550s and 1560s, most of the former monasteries in England had been dissolved for more than twenty years. Their books had been scattered and sold. At Durham, in contrast, the cathedral seems to have not sold books in the 1540s and 1550s. The books that left in this period went with former monks. Most of the manuscripts that left Durham seem to have gone later in the early seventeenth century. I’m going to do more digging to try to identify if Parker specifically requested or was given his Durham manuscript by the cathedral, or if this manuscript is evidence that books were being taken from Durham earlier than most of the other evidence suggests. I’m going to wander away slightly from the Durham library this week and look at a wonderful set of records from London’s National Archives. Despite the distance to London (it could take a week or more on horseback), Durham’s bishop Cuthbert Tunstall spent quite a lot of the 1530s and 1540s travelling back and forth to attend council meetings or other important events in the south, such as the arrival in England of Henry VIII’s fourth wife, Anne of Cleves in December 1539. The travel must have been pretty tiring. Fortunately for him when he arrived in London though, the councillors had quite a few perks, including their own team of cooks headed by John Lawrence. Lawrence and his servants cooked for the council for over twenty years. A couple of weeks ago, for #ediblearchives on Twitter, Dr Sean Cunningham of the National Archives shared some pictures of the bills for the lavish meals the councillors enjoyed. For example, Lawrence bought and presumably cooked seventeen types of meat and birds on 5 December 1542 alone. The annual bill for the council’s food in 1538-9 clocked in at just over £248, which Tunstall and other councillors signed off on. They were less frugal in 1542-44, when the total bill for two years came to just over £577. In contrast the head cook received just 2 shillings and fourpence a day. That’s a lot of expensive food and wine! 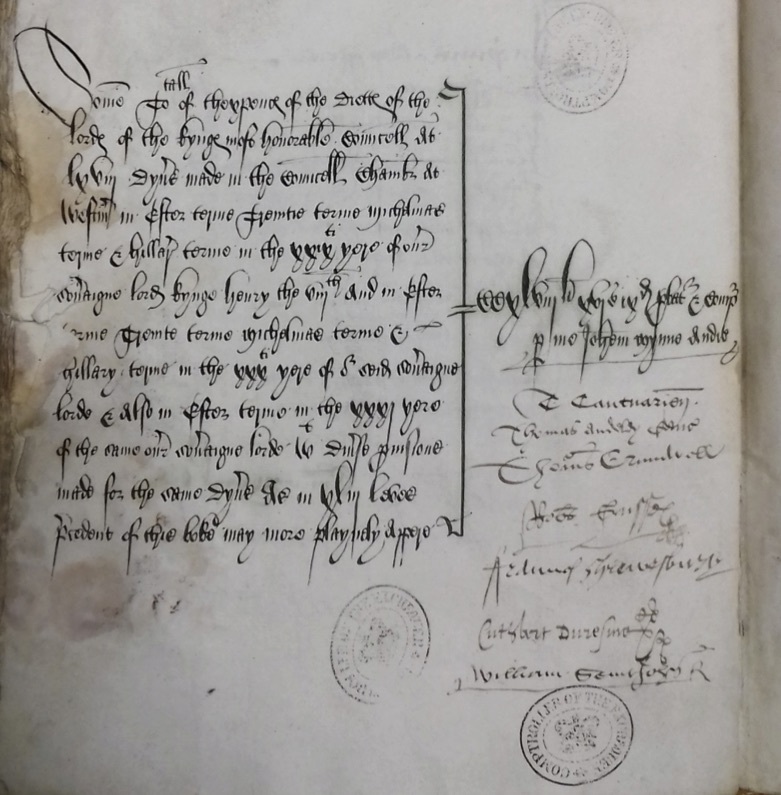 These accounts are a lovely reminder that the council, ‘the kynges most honorable Councell’, did not just meet to argue about all of the business of the day from problematic court cases to petitions as well as border defences and Reformation policy, they also dined together. You have Thomas Cromwell, agressively anti-Catholic, signing accounts alongside the extremely conservative Stephen Gardiner, bishop of Winchester and Tunstall himself. Henry’s council was often carefully balanced between conservatives and ardent reformers with very different ideas about what should be done. I do wonder if the lavish meals in part helped to keep the peace between them. It’s quite hard to have a shouting match while you’re all trying to eat lunch! Accounts for 1538-9; for context, the entire income of Durham Priory was c. £1,600 a year and it was one of the wealthiest in the country. (Photo credit Sean Cunningham). This is a shorter blog post this week, but one that comes out of a conversation I had a couple of weeks ago, when Alec Ryrie pointed out that there have only ever been two bishops of Berwick. I’ve continued to think about Bishop Cuthbert Tunstall and the people he knew, particularly the monks and then the canons of Durham Cathedral. One of the most intriguing but also most enigmatic is Thomas Sparke, Tunstall’s suffragan bishop of Berwick as well as a monk and then canon at Durham Cathedral. As suffragan, Sparke acted as a deputy to Tunstall and could do things like ordain new priests or carry out visitations on Tunstall’s behalf. It probably seemed like a good idea to have a bishop who was constantly in the diocese during Henry VIII’s reign, when Tunstall was often in London, trying to grapple with religious changes and take part in Parliamentary debates. Sparke was first appointed in the aftermath of the Pilgrimage of Grace in 1537, and although his role was suppressed briefly under Edward VI, he continued to be the suffragan at Durham until his death in 1572. In 2016, the role was revived for Bishop Mark Tanner, and there is now a second suffragan bishop of Berwick, this time in the diocese of Newcastle, which didn’t exist in Tunstall’s day. What then do we know about Sparke, for 444 years the one and only bishop of Berwick? Sparke, like most of the senior monks at Durham, had studied at Durham College in Oxford in the 1520s and 1530s before taking leadership roles within the priory. He was prior of Holy Island for a time, before settling back into Durham, and becoming master of Greatham Hospital after the dissolution of the priory. Despite the fact that he had a doctorate in theology, in 1552 the duke of Northumberland wrote that he was neither ‘neither preacher, learned, nor honest, so pernicious that the country abhors him’. It may be a projection of Northumberland’s own prejudices onto Sparke rather than a true reflection of Sparke’s role in the diocese. 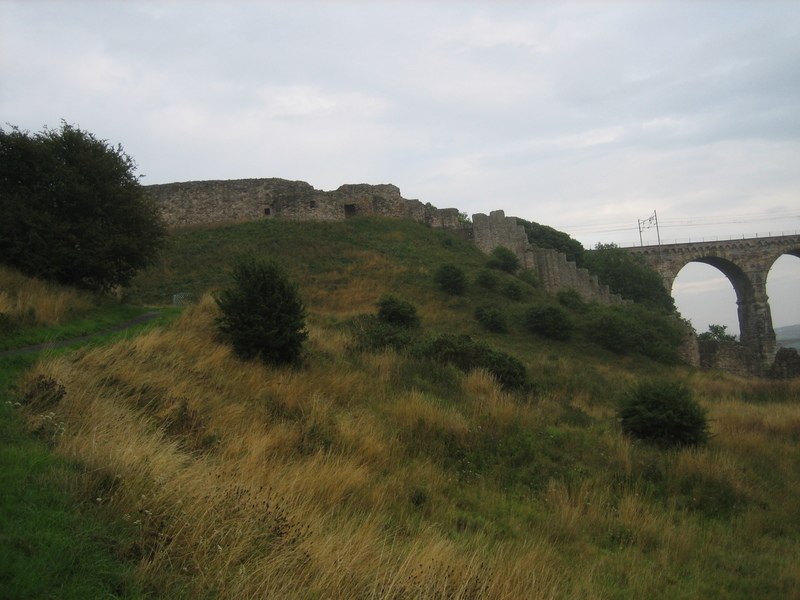 Northumberland was evangelical and had high hopes for a more radical Protestantism in England, and clearly hoped that Durham was more reformed than Sparke. This was at the same time that Northumberland was trying to dissolve Durham diocese in order to claw back palatinate revenues for the king, so he was not inclined to be charitable to the diocese’s priests for other reasons! This impression is backed up by the only book of Sparke’s that we still have- a rather nice Psalter which is now in York Minster Library that he finally gave to fellow-canon John Tutyng in 1566. 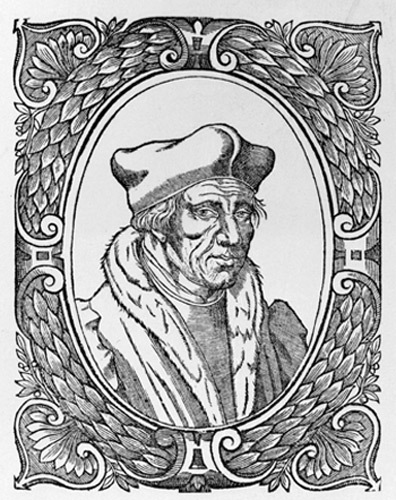 Jacques Lefèvre d’Etaples, the editor of the Psalter. He was a reforming Catholic, who produced the first Bible in French in the 1530s as well as lots of editions of important texts. It’s one of the 1508 printing of the Quintuplex Psalter from Venice, and the most interesting thing about it is that the editor, Jacques Lefèvre d’Étaples, gives five versions of the psalms, with extensive footnotes. All of the versions are in Latin, but they are all slightly different and from different textual traditions. The point of having them all together is so that scholars could try to work out what the best and most accurate Latin version should be. Sadly, Sparke doesn’t seem to have annotated it himself. Almost all the annotations seem to be by Thomas Swalwell, but still it’s an interesting book for Sparke to own. It shows him as interested enough in the humanist projects of textual criticism and Biblical accuracy to own and probably use this psalter. Like Tunstall and many of Tunstall’s chaplains, Sparke’s book hints at a much richer intellectual life than we might guess from Northumberland’s grumpy comments about his learning in 1552. It also hints at the wider possibilities for reform, not Reformation, within the Catholic Church in the middle of the sixteenth century.